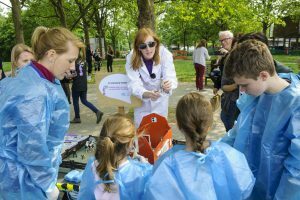 What is Soapbox Science and why should you get involved? 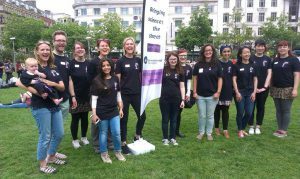 Soapbox Science is a novel public outreach festival for promoting women scientists and the science they do. It is a fresh, no-frills grass-roots approach to bringing science to all people on the streets, especially those who wouldn’t otherwise have come across science in their daily lives. Our Soapbox Scientists are real-life scientists, who are at the cutting-edge of scientific research. 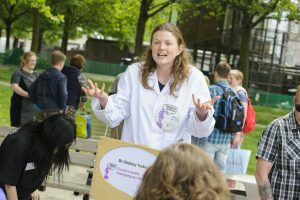 They stand on soapboxes on busy urban streets and talk to the passers-by about their science. They share their knowledge, answer the public’s questions, and above all they share their passion and thirst for the advancement of science. Look out for bat simulators, fake breasts or giant pictures of volcanoes. Or simply hear them talk about what fascinates them, and why they think they have the most fantastic job in the world! Soapbox Science will help with guidance and support. They will put out the call for speakers and assist in the administration of the selection process. They will also organise a training event for the Local Organisers (to be held in London this November) and provide support to the local team for them to deliver a speaker training workshop. 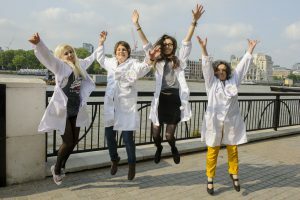 Soapbox Science will actively promote the speakers, the Local Organisers and the event on social media and the website as well as on national press platforms. 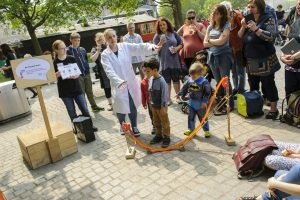 Soapbox Science will be there throughout the whole process to answer any questions you may have. Assembling and managing an organising team. Organising an event is time consuming and we know that a team is needed to make the event a success. Organizing an event is a lot of work – and therefore we don’t expect Local Organizers to act as speakers.